Heart failure does not mean the heart has stopped working; it means that the heart works less efficiently than normal because of various causes. Depending upon types of onset, it can be acute or chronic. It developing sudden in the patient with Myocardial Infarction is acute & Valvular heart disease is a chronic, with gradual deterioration of heart function. It is the leading cause of hospitalization & life-threatening at older age. 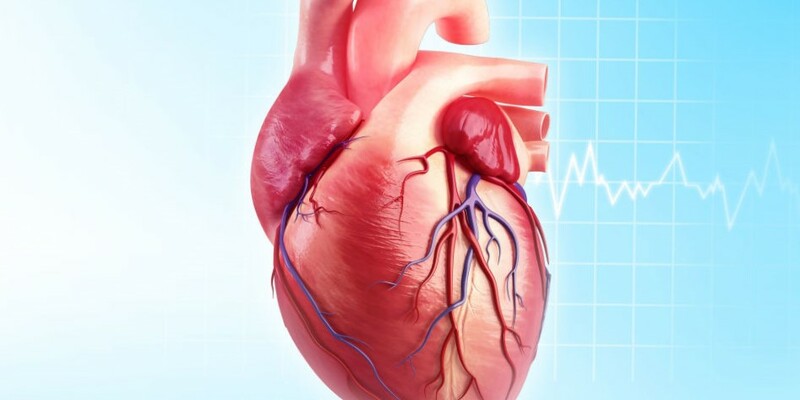 Heart failure effects on Cardiac output (body blood circulation), due to various possible causes, blood moves through the heart to the body at a slower rate which causes an increase in heart pressure. As a result, the heart cannot pump enough oxygen and nutrients to meet the body’s needs. Congestive heart failure (CHF) specifically refers to the stage in which fluid builds up around the heart and causes it to pump inefficiently, also resulting fluid builds up in the arms, legs, feet, ankles, abdomen, lungs, other organs & the body becomes congested. What are the Causes of Heart Failure (HF)? Ventricular volume overload: Atrial or Ventricular septal defect, Mital or Aortic regurgitation, Mitral valve prolapse etc. Depressed Ventricular contractility: A) Coronary artery disease: Coronary artery disease (CAD), a disease of the arteries that supply blood and oxygen to the heart, causes decreased blood flow to the heart muscle. If the arteries become blocked or severely narrowed, the heart becomes starved for oxygen and nutrients. A heart attack occurs when a coronary artery becomes suddenly blocked, stopping the flow of blood to the heart muscle. A heart attack damages the heart muscle, resulting in a scarred area that does not function properly. B) Cardiomyopathy: Damage to the heart muscle from causes other than artery or blood flow problems, such as from infections or alcohol or drug abuse, C) Myocarditis, D) Myocardial ischemia etc. Conditions that overwork the heart & other: Conditions including high blood pressure, massive blood loss, thyroid disease, kidney disease, heart defects present at birth may cause heart failure. In addition, it can occur when several diseases or conditions are present at once. Physical & emotional stress etc. There are several things you can do to lower your risk of HF or may improve your health. Maintain a well-balanced diet: Take healthy diet; eat vegetables, fruits, and whole grains. Dairy products should be low-fat or fat-free. Avoid more salt (sodium), added sugars, solid fats, and refined grains. Exercise regularly, Walking, bicycling, and swimming are good forms of exercise. If you are suffering with high blood pressure, heart disease, or diabetes, take proper medicine & control it. Visit your doctor regularly to monitor your condition and report. How is Congestive Heart failure (CHF) diagnosed?